For the summer months, the Friesen Project is going to look a little bit different. As I explained in the opening Friesen Friday of June, many of the tutorials for the Christi Friesen projects are coming from online resources. This being said, today’s project is not a complete tutorial. The tutorial can be found elsewhere online (see project information and link below). I had a lot of fun creating my polymer clay peacocks, in fact I made several of them. So get out your clay and let’s get started! If you have not gotten your PDF copy of Christi Friesen’s “Birds of a Feather” book, please order the book here direct from Christi. 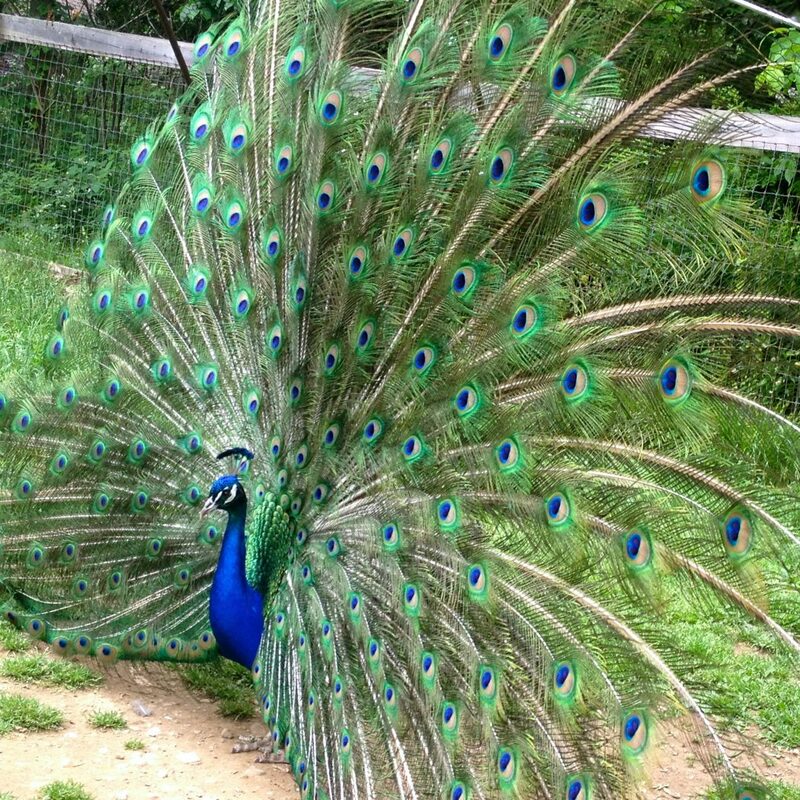 These two peacocks are special. One of them goes on an adventure with Parker and the other one is a gift for my friend who raises peacocks! As a special bonus for all of the Friesen Project participants, come on over to my Etsy store and see the newest Parker StoryBook Scene, featuring one of these cute polymer clay peacocks. But not just any peacock, a perfectly speckled white albino peacock, one of the rarest of Parker’s finds at Kater’s Acres. For those of you who are participating in the project, do NOT forget to link up all your projects that you have made as we have journeyed together on Pinterest. 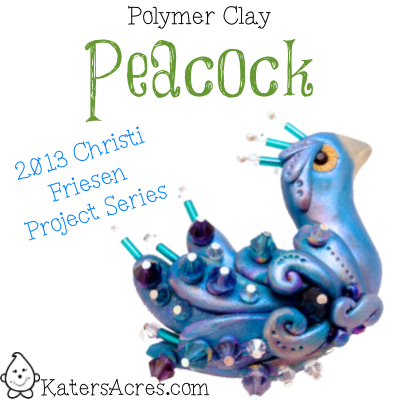 I LOVE the white peacock idea – but it’s SO hard to keep white clay white…in my house, anyway. How did the growing roses pin get pinned on to the Christie Friesen site? I will go and check it. It was probably an accidental pin by someone who was repinning and forgot to change which board they pinned to.